The third and final book in The Sevens Prophecy continues in the same vein as the first two--challenging the light versus the dark psychics. If I knew more about it, I might say it has some allusions to Manichaeism--the 3rd century Persian dualistic religion. In any case, the characters continue to use both latter day technology and their own supernatural powers to meet the challenges facing them from the opposing side. I found that a creative and workable approach. Without adding any spoilers, I can say that some don't survive (more on the dark or evil side) and nearing the climactic scene, the pace of the conflict ratchets up appropriately. Stay tuned for a surprising twist (or you could say two--given the denouement) about who is who. I'd recommend it to those into supernatural, paranormal and the current issues facing people around the world--various sorts of crime, drugs, the climate, etc. Read the series; you'll see what I mean. 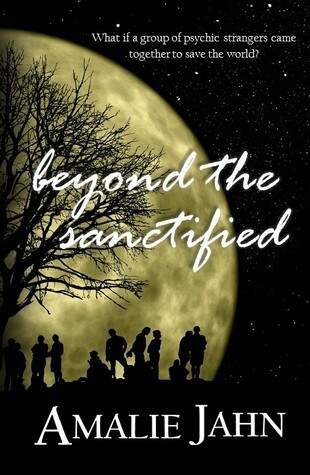 Sign into Goodreads to see if any of your friends have read Beyond the Sanctified.